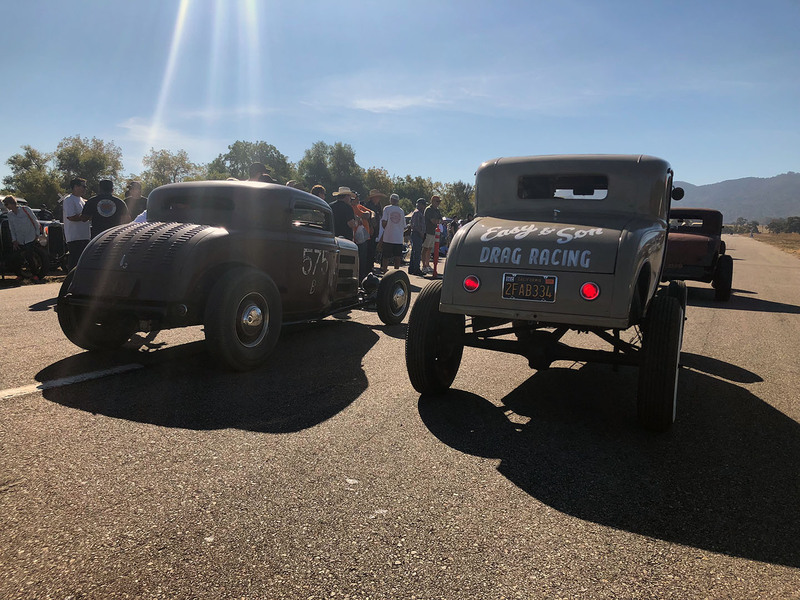 Take Your Kids to a Drag Race! 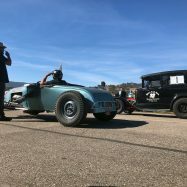 If your the parent of younger children like me, you most likely expose them to many cool parts of your hot rod world: Cruising around in vintage vehicles, working on projects in the garage, and maybe attending a few car shows. 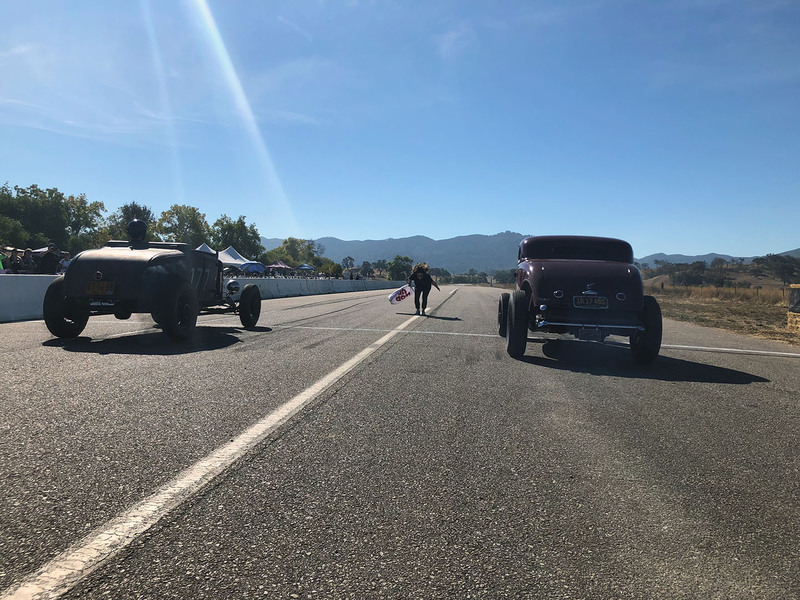 One thing I hadn’t taken my kids to was a real drag race, up until the RPM Nationals last Saturday that is. 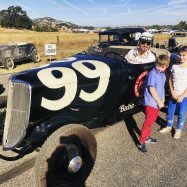 The plan was to jump in the family ’57 Safari wagon after work (and school) and make our way 220 miles south from the East Bay to Santa Margarita… But after discovering a leaking wheel cylinder and a pinhole leak in my radiator, we opted for the last minute swap to a modern vehicle. 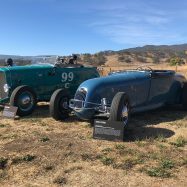 The thought of sitting in bumper-to-bumper Friday evening traffic in a 60 year old car with spongy brakes, an overheating motor, and no A/C while transporting two young children did not sound like a father-of-the-year plan. 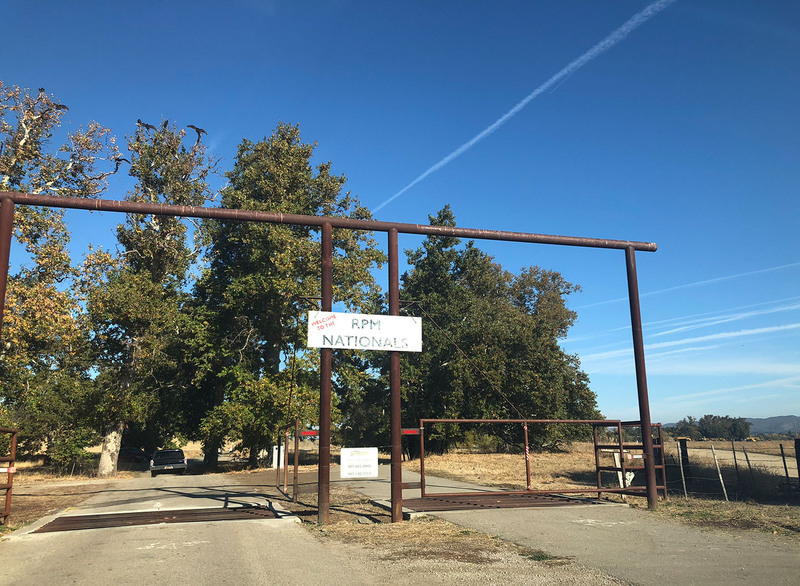 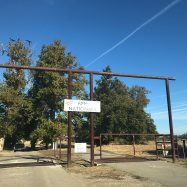 Once we arrived at the ranch on Saturday morning, it was obvious this was going to be a very special event. 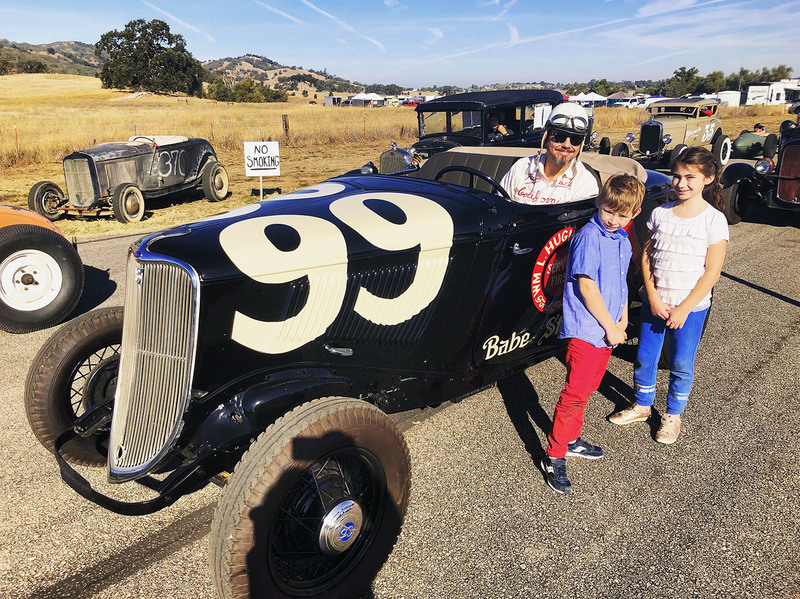 The sprawling grounds go on for acres, and the kids were already geeking out about the old fire truck, school bus, tractors, and random trucks as we approached the race course. 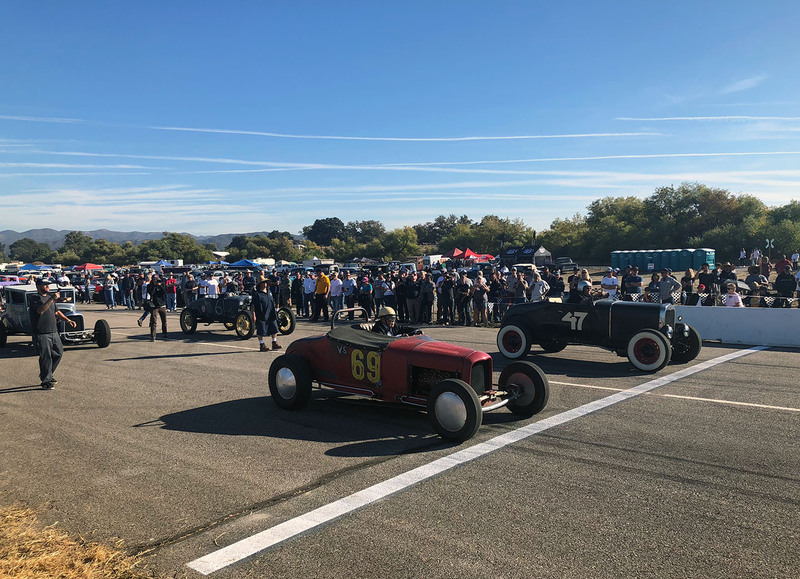 Once we got down to the spectator area, we were right there in the midst of the action where the drag strip is actually an aircraft runway, just as the majority of them were in the early days. 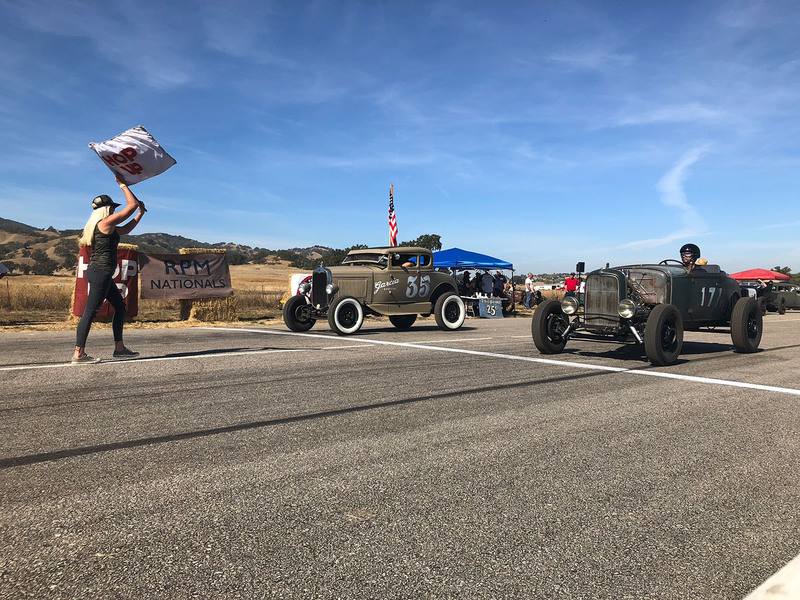 No timing lights or speed traps, just a girl with a flag and an announcer to tell the crowd who he thinks won. 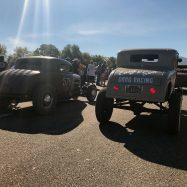 The RPM Nationals was the ultimate throwback to a simpler time in drag racing, when the cars and the 1/4 mile mayhem were totally accessible and everyone attending was there purely for the love of it all. 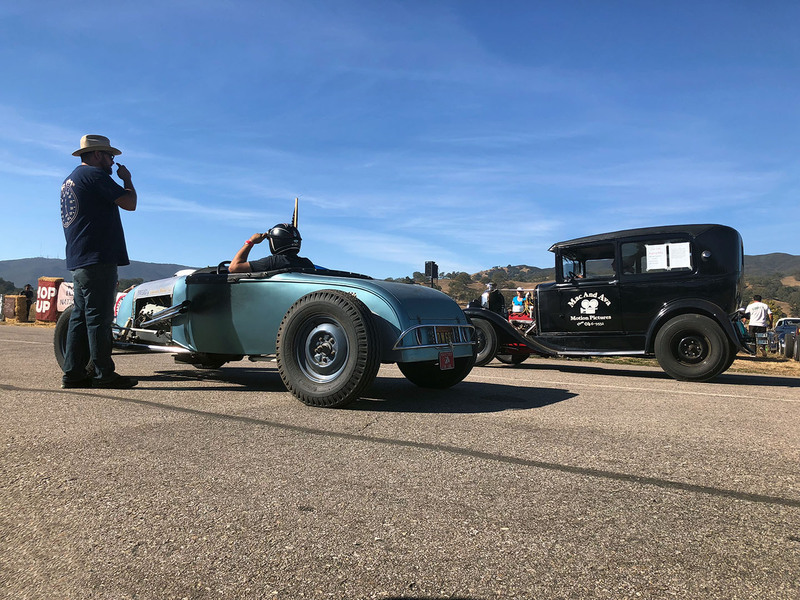 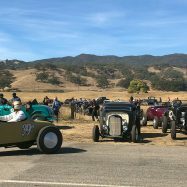 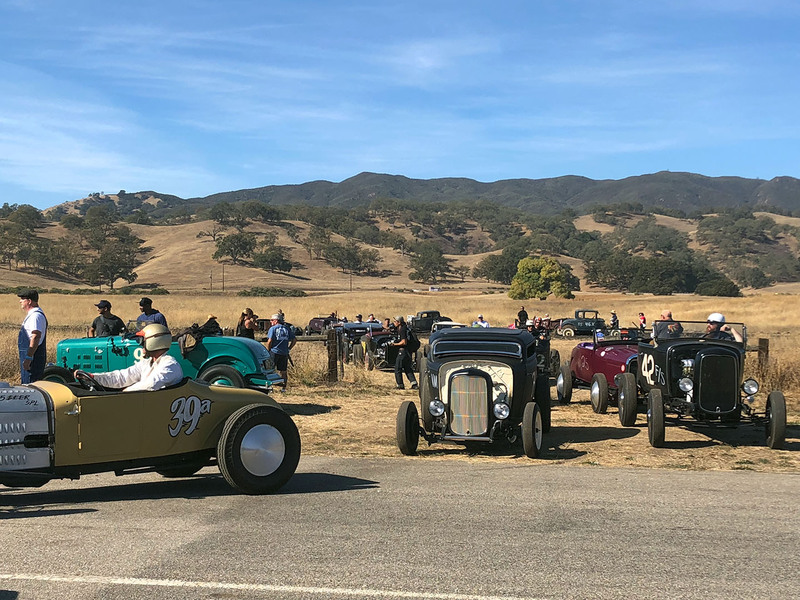 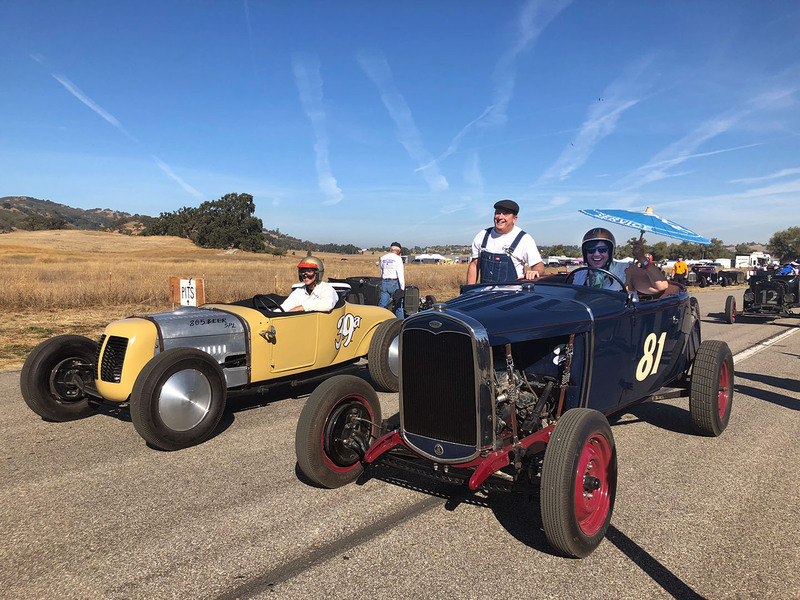 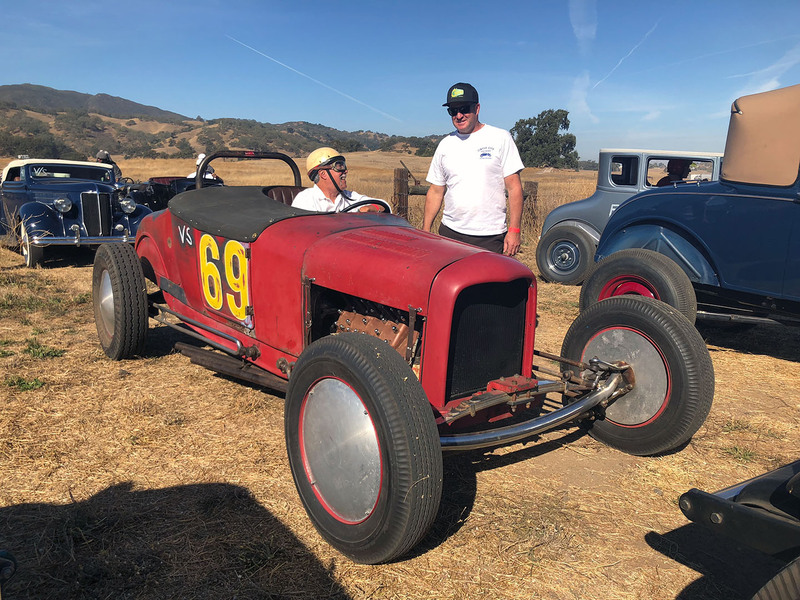 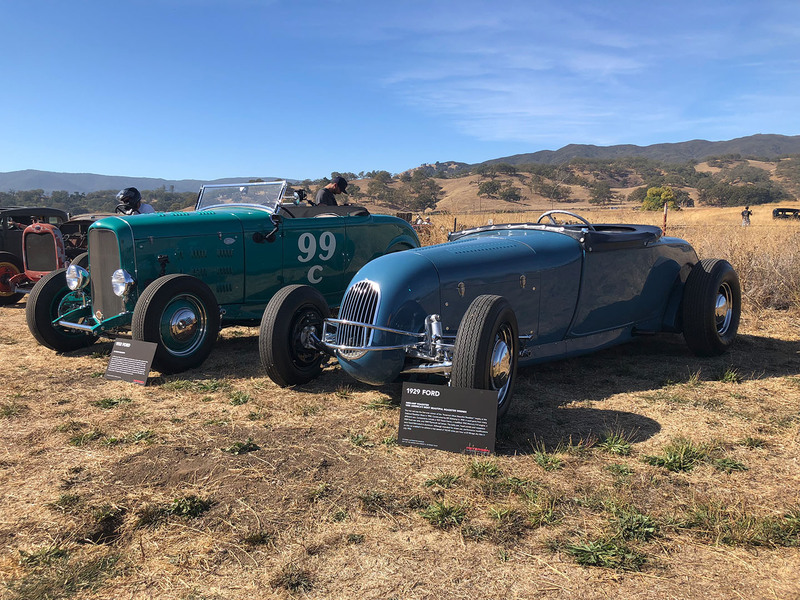 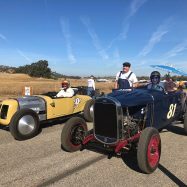 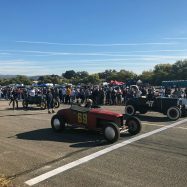 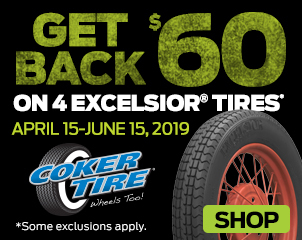 The tradtional-style drag entrants were thoughtfully selected, exclusively Banger or Flathead-powered, and hot rod icons including the Eddie Dye, Bill Niekamp, Barney Navarro and Ray Brown Roadster were all there, burning rubber! 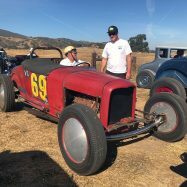 The swap meet and a car show were humbly set up on the adjacent dirt field, yet offered lots of killer rides on display and parts to buy. 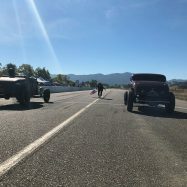 My children laid out a blanket in the shade between two roadsters that were positioned trackside, munching on their kettle corn and watching race after race, loving it all, and having no idea just how damn special this day really was… Family bonding at it’s best. 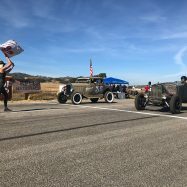 11 Comments on the H.A.M.B.